Siya Mnguni has been a member of our team for the past 2 years and works as a dynamic youth worker. In the time that he has worked here we have had the pleasure of watching him parent his daughter and we see in him all the qualities of a great father. Please join me in celebrating this special dad as we enter into the week before Father’s Day. Siya is father to 4 and a half year old Ntonkozenhle, meaning “Beautiful Joy”. 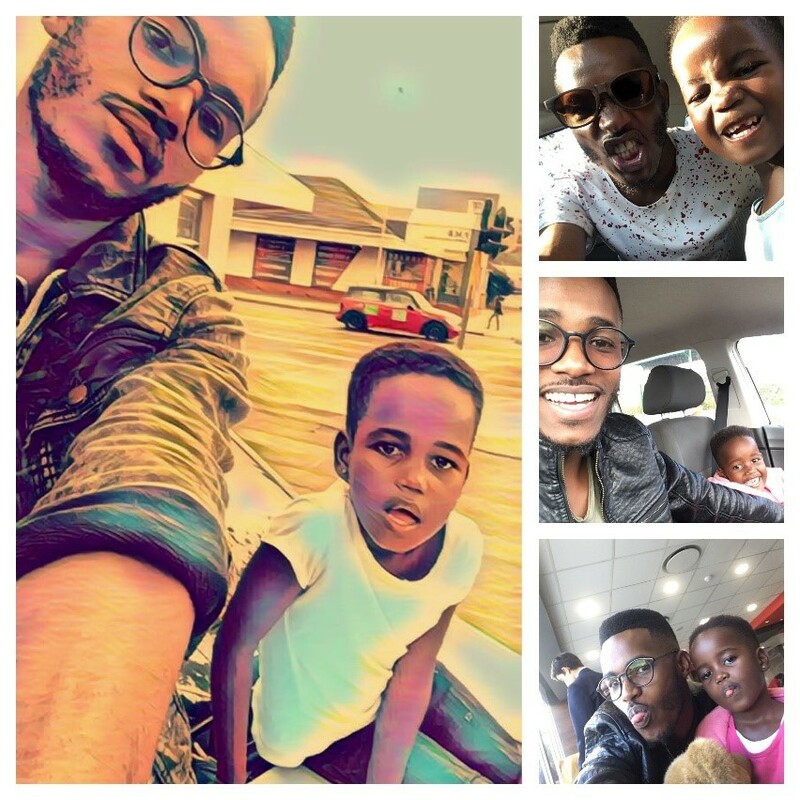 We gave Siya the fun challenge of answering 17 questions for the 17th of June about his experience of fatherhood – enjoy!! 1. What does the word father mean to you? That’s an interesting question!! It means to have someone to protect you. To be entrusted with that role of being a hero for your child. To be given that privilege to take care of someone. 2. When did you become a father? Back in 2013, I was 23 years old. 3. What was it like when you found out? I was overwhelmed with joy more than fear. I remember that I just couldn’t contain myself. 4. What were your hopes or expectations? I have always wished for a daughter as my firstborn so that was my first hope, that “it” was a she. I even named her 2 – 3 weeks after finding out about the pregnancy. I named her Ntokozenhle which means ‘Beautiful Joy’. I was excited and I couldn’t wait to meet her and look into her eyes. Of course, there was that fear. Would I be able to do this? Would I be good enough? Would I have enough to take care of her and attend to her every need? But the excitement was greater than the fear. I was so excited about being a dad! I always refer to myself as a dad rather than a father. They say it takes a father to make a baby, but I say it takes a dad to provide and to protect. And when I talk about provision, it’s not only about money. It’s about spending time, providing the space to bond, being there physically. For me, that’s how you become a dad. 5. What has this experience meant to you, 4 and a half years down the line? Yesterday, her mom was saying “She’s growing up now, God is good.” Time flies and passes by so quickly. It has been amazing seeing her grow over this time and seeing her portray some of my traits. She is like me. We’re birds of the same feather; in our attitudes, in the way we behave…it has been a wonderful time for me. Of course there have been challenges, but never too much for me to say I can’t do this. 6. What have been some of the challenges to being a good dad? You sometimes wonder if you are doing enough and you don’t always have what she needs at the right time. Small stuff catches you off guard, like when she needs new shoes and you just bought new ones a short while ago. That feeling you get when she’s not well. And it’s challenging because we do not live together, she stays with her mom and so weekends when I have to work and I cannot see her are the hardest for me. 7. What do you see as your role as a dad in your daughter’s life? My role as a dad is being there, being present and providing to the best of my abilities. Letting her know that she is loved. I feel like we as men have a resistance to showing our feelings to our children. We assume they know we love them but I believe that my role is being there and really making sure that she knows she is loved. 8. What is your favourite thing to do together, the two of you? Oh! We go crazy! She likes card games, taking selfies and reading stories. She loves stories, I read to her and become animated with sounds because she loves that. If you’re reading about a lion you have to roar. We enjoy driving together. And now we’ve added a new activity because she wants her hair cut like mine, so now we go to the barber together because she wants to look like me! There’s a lot that we do together. 9. What kind of dad do you want to be? Obviously one is never perfect. I want to be the greatest dad. I want to use every minute of every day that I get to spend with her to be one that she doesn’t forget. One of the things I say is I want her to remember me long after I am gone. I want her to remember that she had a dad that was irreplaceable and unforgettable. I want to be the kind of dad that provides enough affection and love for her and that she knows “this is dad” and this person I trust. Because for me when we were growing up our dads were providing, but there was not space for that relationship. We never sat down with our dad and played cards, he never read us stories. That was left to the grandmothers and mothers. I didn’t get to stay with my dad growing up, but I have seen it many times that my dad was not present, even when he lived in the same house as his children. I don’t want to be that kind of a dad.